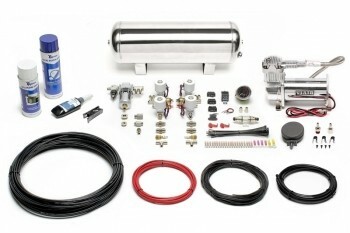 TA-Technix Air Suspension Kit for the Ford Focus MK2. TA Technix specializes in the design and production of air suspension systems. The suspension kits are constructed of the highly innovative Austrian company TA Technix of top quality items. For the shock absorbers are either the products of the company used or even developed its own damper. Also in the air bags is a lot of know-how from our own production. All vehicle-specific add-on parts are made of high-strength aluminum and coated for a perfect long-term quality. All Suspensios are equipped with high-strength pressure lines for maximum safety. 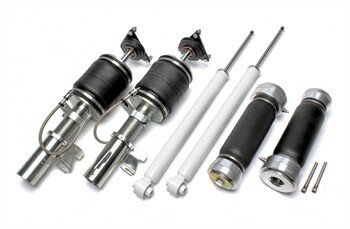 For some vehicles, the Suspension are also available with adjustable shock absorbers. Hi how much travel does the suspension have? please add all your prefer item to the Shopping Basket to check the shipping Costs!